A few days following the visit of our 16 guests, we had the pleasure of receiving several more guests, Kevin (Saskatchewan, Canada), Cinzia (Switzerland), and a very, very special lady and good friend, Barbara Seagram (Toronto, Canada). 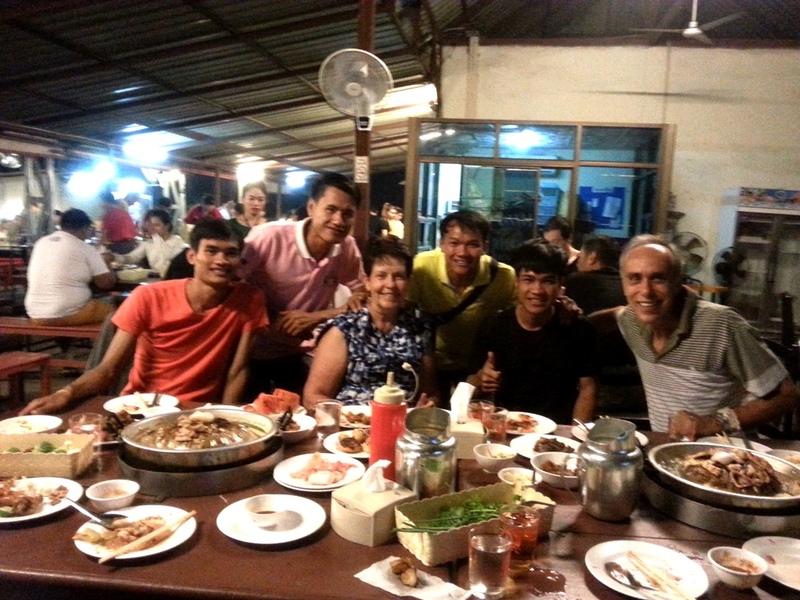 We had been planning for her arrival (and Kevins’) to allow them to experience a special treat with the Official Ceremony in Thong Thuen. 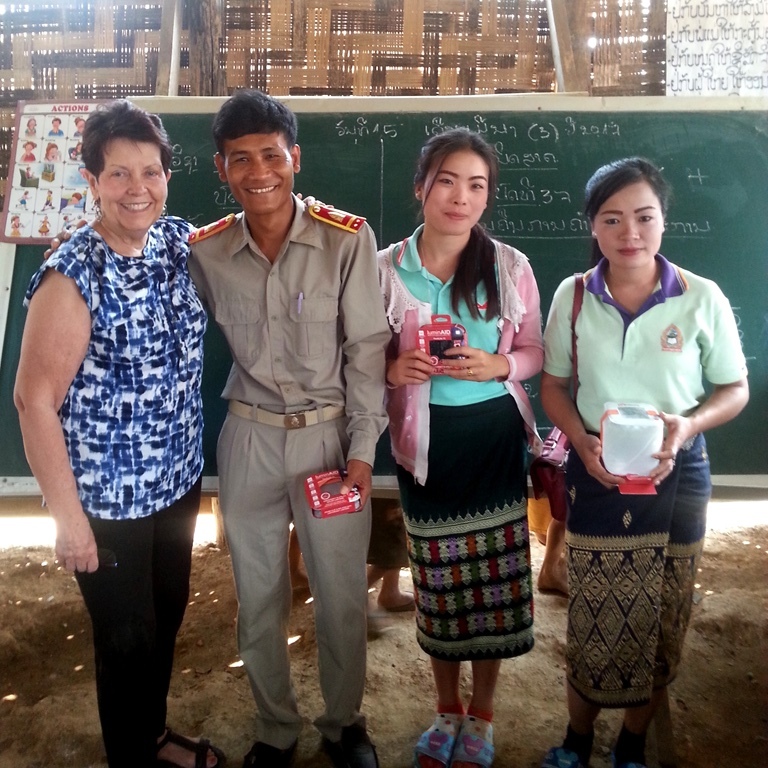 But first, we took the group up to the school grounds in Thong Thuen so Barbara, Kevin and Cinzia could teach at the bamboo school in the village (96 students including kindergarten). 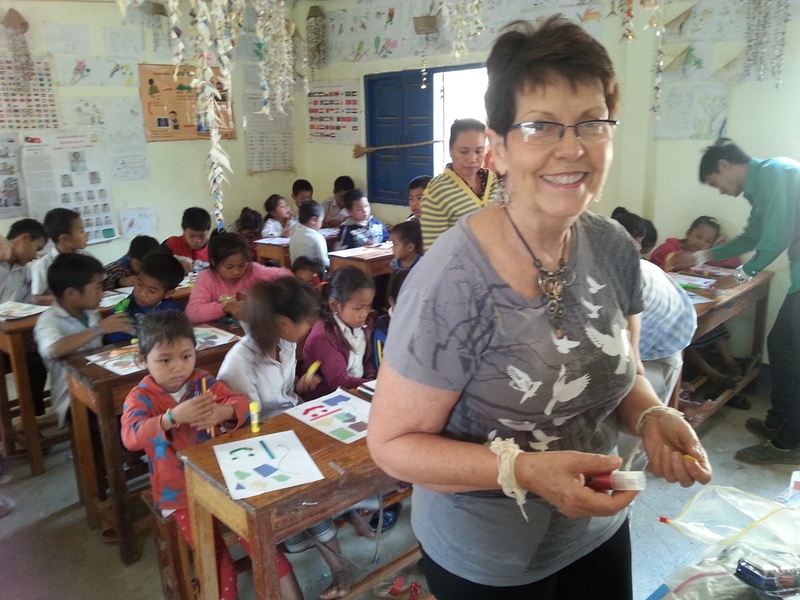 Barbara had bought schools supplies and the materials for her craft project with the students. What a treat it was for the kids. Barbara, with the three school teachers. Only one is getting paid by the government – the other two are still hoping to get on the government payroll soon. Each of the teachers received a solar light (see the teacher on the right with her assembled unit) from Barbara to help them prepare their lesson plans at night. In addition, Kevin, Barbara and myself gave the two ladies some extra spending money to help tie them over for a bit. Barbara also donated an additional solar light to the head of the women in the village during the ceremony, a small thank you for all the work done by the women for the successful completion of the project. The village chief standing in the classroom with the students as they wait for their art project to begin. I wish I had pictures of Kevin and Cinzia but I was preparing for the distribution of the school supplies outside the classroom while they sang songs with the students including Old McDonald, Head and Shoulders and a couple of others. The kids loved it! 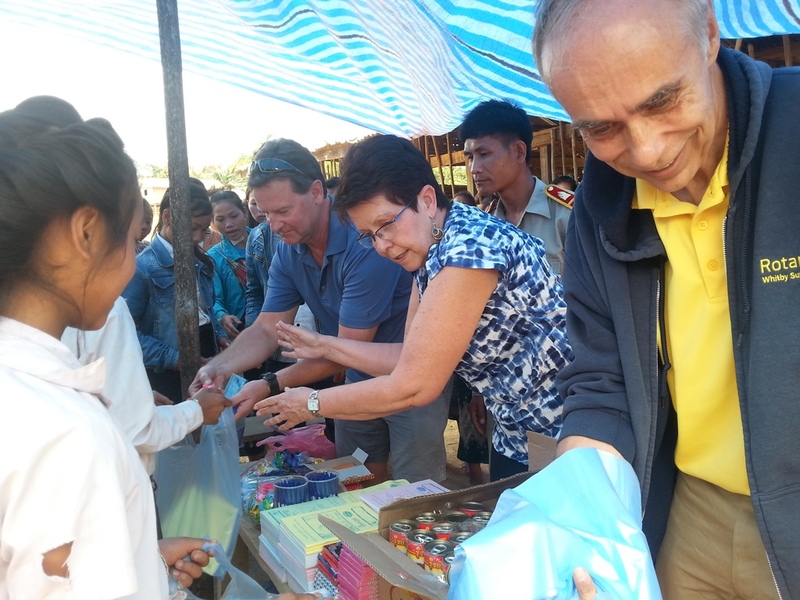 Barbara also presented the school teachers with sports items including soccer balls and net, rattan balls and volleyball and net. The kids sure look happy. Remember that foreigners never go to this village and they have never been given anything before. Each student received a pencil, pen, notebook, eraser, pencil sharpener, pencil crayons, ruler and canned fish (the fish will serve as a meal to be shared by the whole family), plus balloons and candy. 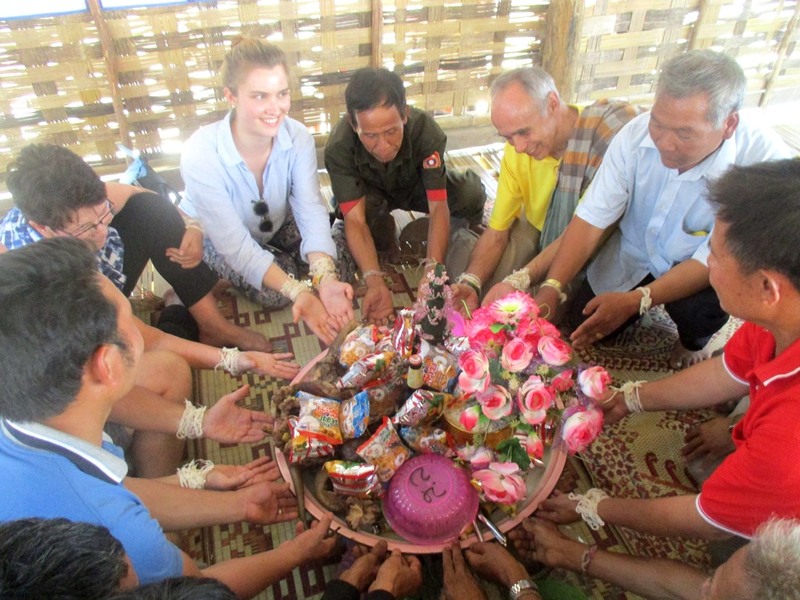 Next was the formal part of the official handover of the project to the village. I am pretty sure that every single villager was there but lets look at the project first. The dam: I was a bit disappointed that they hadn’t removed all the forms yet and much of it was covered with leaves due to the dry season causing the leaves to fall, but you get the idea. The spillway – there was a lot of cement in this although you can’t really tell because the flow is under the cement spillway which is covered by leaves. 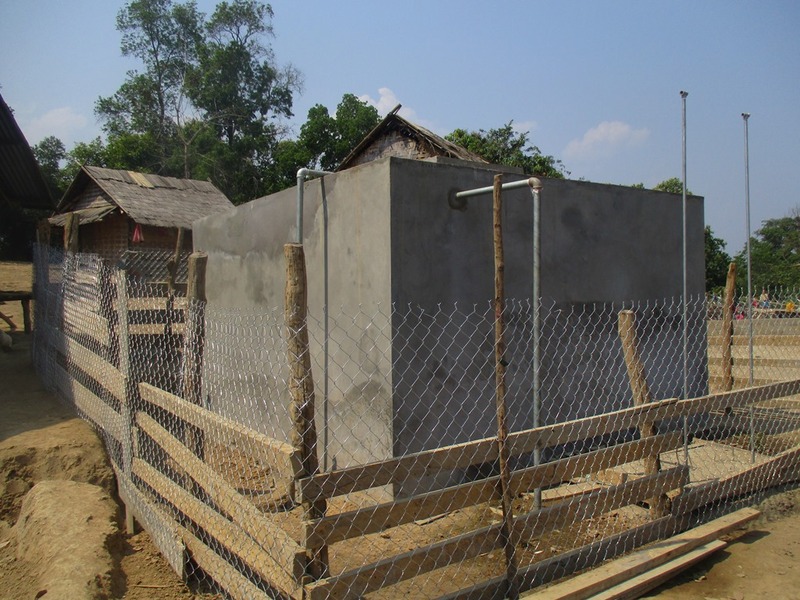 The completed water tank with a fence around it to keep the kids off. One of 12 taps across the three hilltops of the village. Does she look happy to you? She is reusing one of soft drink bottles to fill with water, hopefully for her water filter. 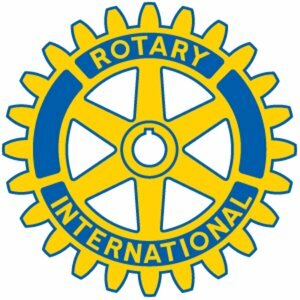 The presentation: The number of individuals, corporations, Rotarians and Rotary Clubs from all over Canada, made this happen. There are so many to thank and I will be doing this through separate emails to each and follow up presentations to whoever I can reach. THANK YOU! 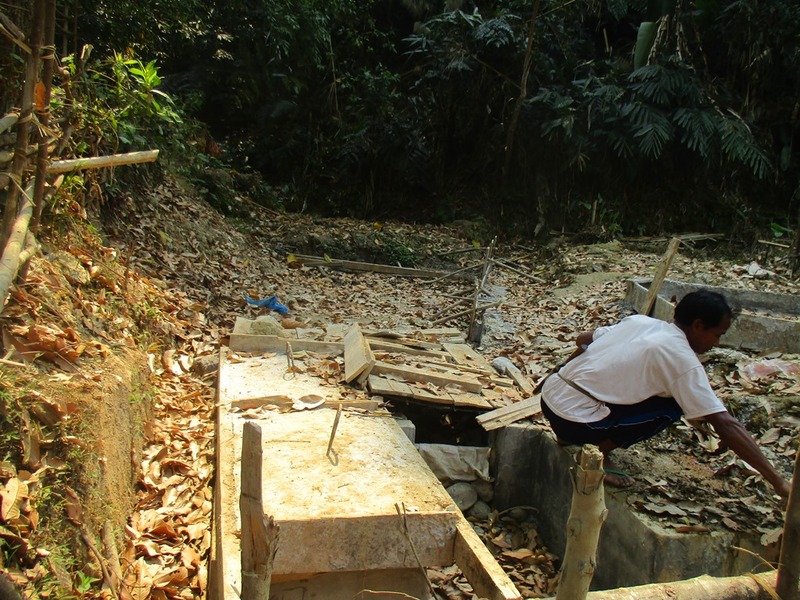 Being the largest water project we have ever done, the struggles we and the villagers endured and the resulting success was rather spectacular. The muddy roads at the beginning caused trucks to slide backwards, then wait it out, another truck slid back into a tree causing a fair bit of damage, and even two jealous villagers (from a neighboring village) cut the pipe almost 9km from the village are just a memory now. 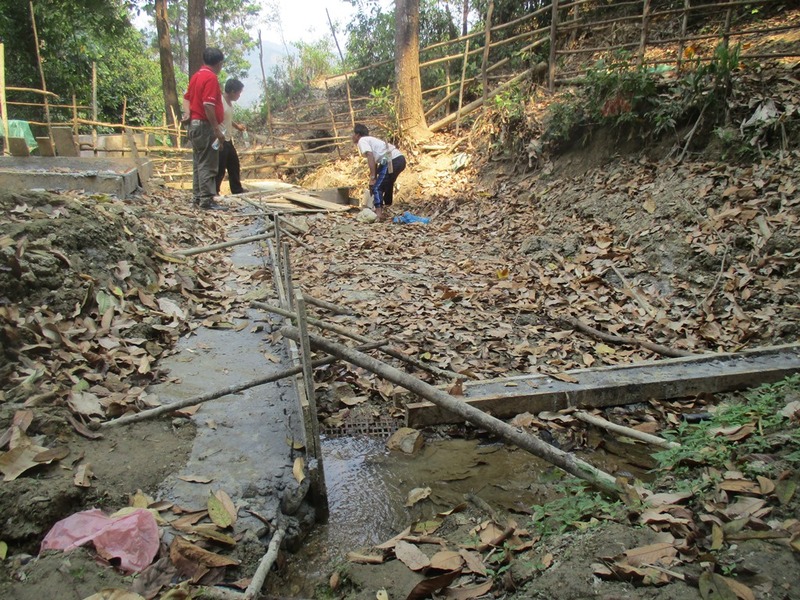 In reference to the villagers that cut the pipe, they were caught (surprisingly), the village was visited by the engineer and District officials, and all was eventually sorted out…I won’t go into the details in this post. A Special Thank You to Cindy Gering, her family and her Team for her very special donation. The feast! They slaughtered a goat and a pig in appreciation. We supplied Beer Lao which is cheaper than water there and also the ice….I am not sure what they enjoyed more, the Beverages or the Ice. They have never had ice in the village before! In fact it was the largest celebration the village has ever had. There wasn’t enough room under the tarp but they didn’t care. They found a tree to squat under. This is the spiritual part of the ceremony….baci…not easy on the knees but certainly appreciated. After a well needed rest, we headed to one of our favorite villages, one in which I hadn’t visited this year and was concerned about two of the students that we are sponsoring through our generous sponsors, Art from North Carolina and Ian from New Zealand and Australia. Sure enough, Doe and Tick were waiting for us on the other side of the river. They were excused by their respective teachers for the day, to ensure we were well looked after. 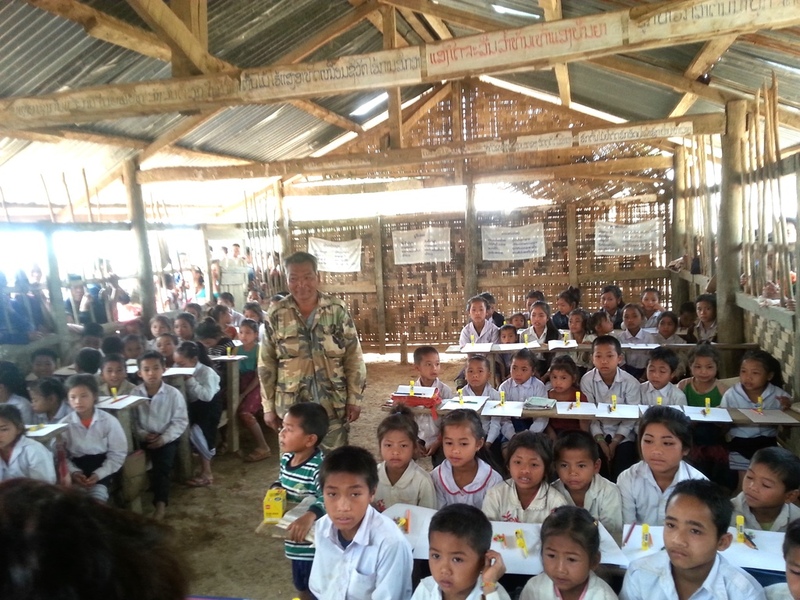 Tick goes to secondary school in Meung Xuen (a village we must travel through to get to Ban Na Lea, our destination), and Doe who is in Primary 3. 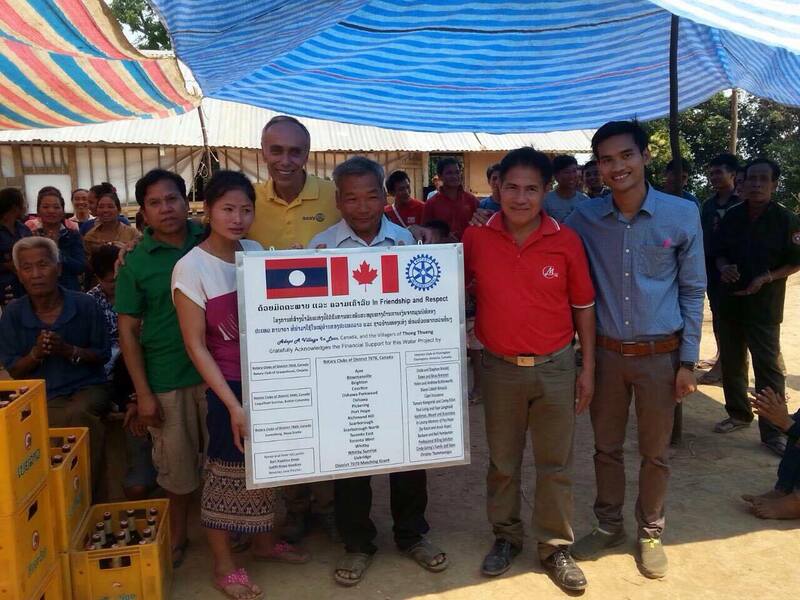 The school was built by us, but sponsored by The Rotary Club of Toronto Twilight. 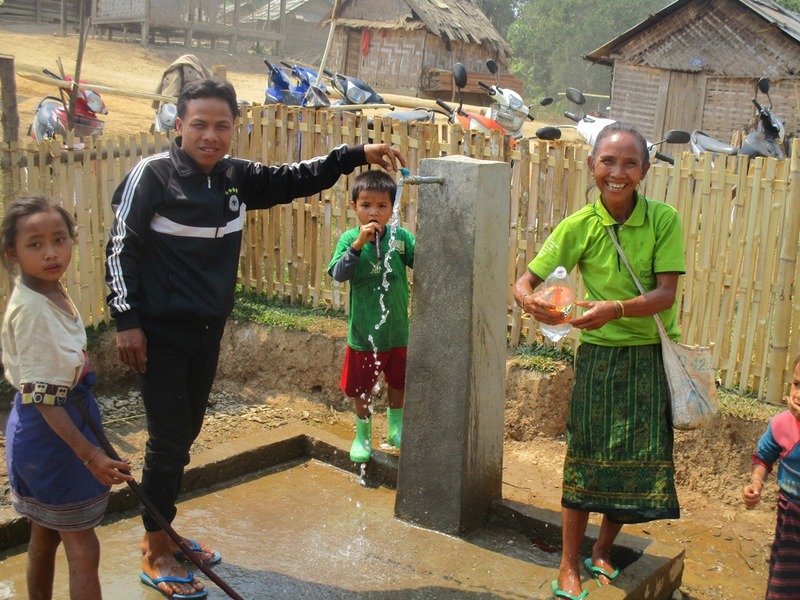 Both villages were recipients of water projects done by us, through the generosity of many Rotary Clubs over a two year period. 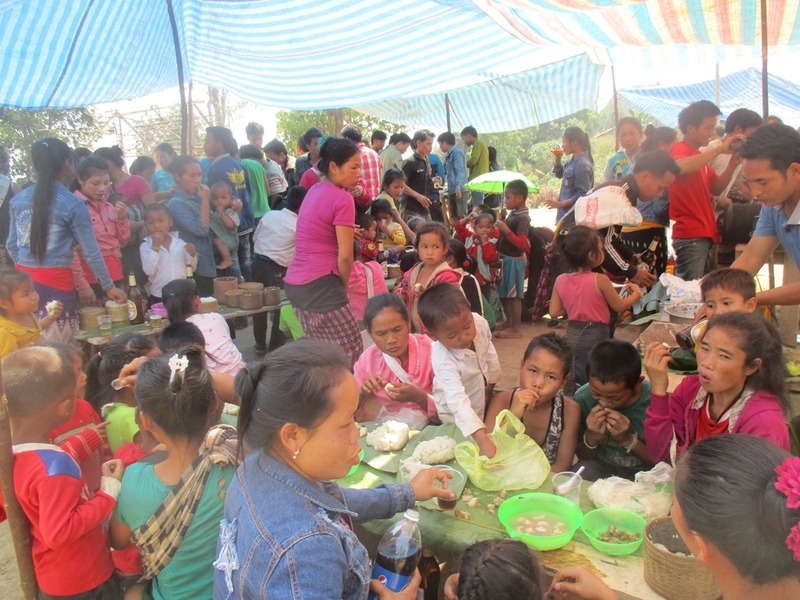 Part of our trip to Ban Na Lea – we used a tractor because of the heavy school supplies, again donated by Barbara and her team in Canada. We did trek back however because it was a little easier on our backs and butts…and more adventurous. 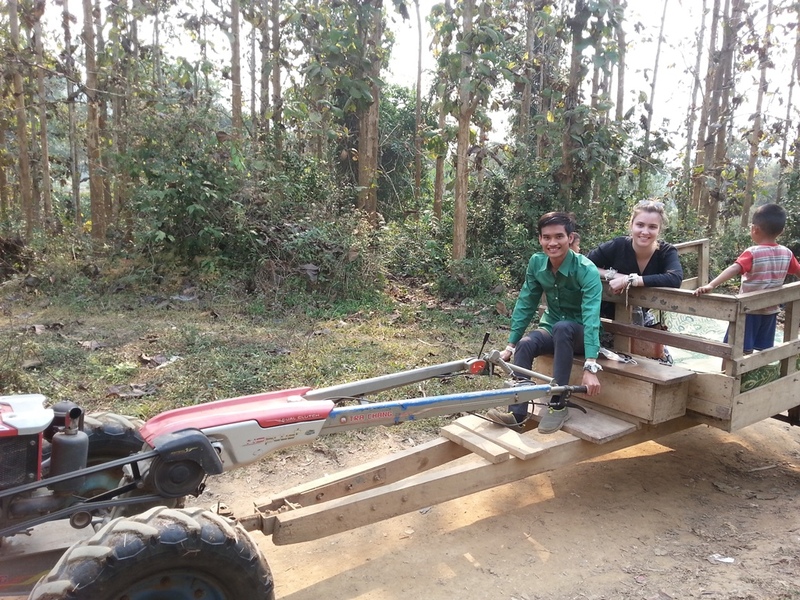 Siphan and Cinzia posed for the picture but Siphan didn’t actually drive it and there is no way we really looked that happy while riding the tractor. Barbara, in all her glory and big smile on her face as the students finish the art project. 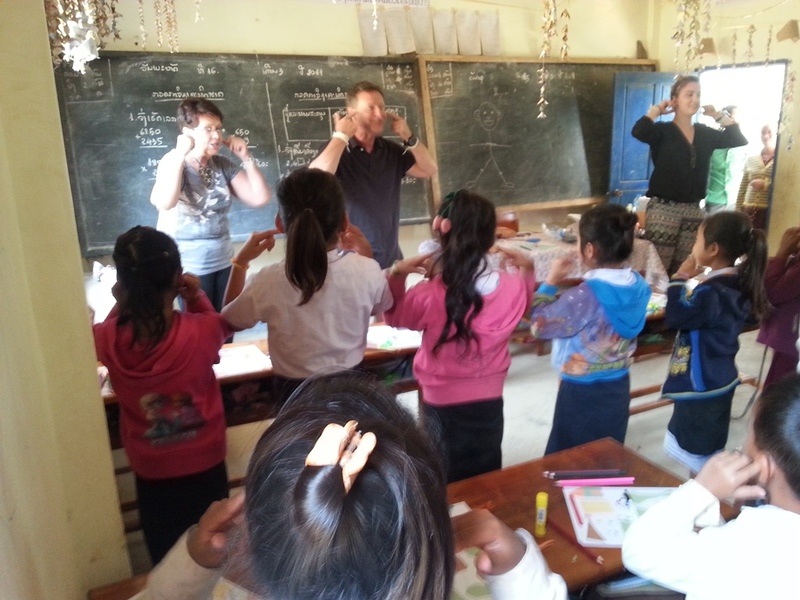 Barbara, Kevin and Cinzia enjoying the teaching of Head and Toes, as much as the kids enjoyed learning it. Right after class, Barbara again gave every student a bag full of school supplies and canned fish. Trekking back, Barbara was terrific on the parallel bars don’t you think? I sure hated to leave the kids behind. It hasn’t been easy for these two orphaned brothers, always treading lightly around their foster parents. Tick has had a really rough go of it. Last year he was sent to an orphanage due to foster family issues (infighting but not with Tick). He was hungry all the time – they were fed two meals a day, one was just a handful of sticky rice and sometimes the other meal consisted just of fat soup. Not very nutritious for growing students. Fortunately he was successful in being accepted back to the foster family. I wish I could have brought them home. Next season, I might bring them down to Luang Prabang for a weekend of fun for them. 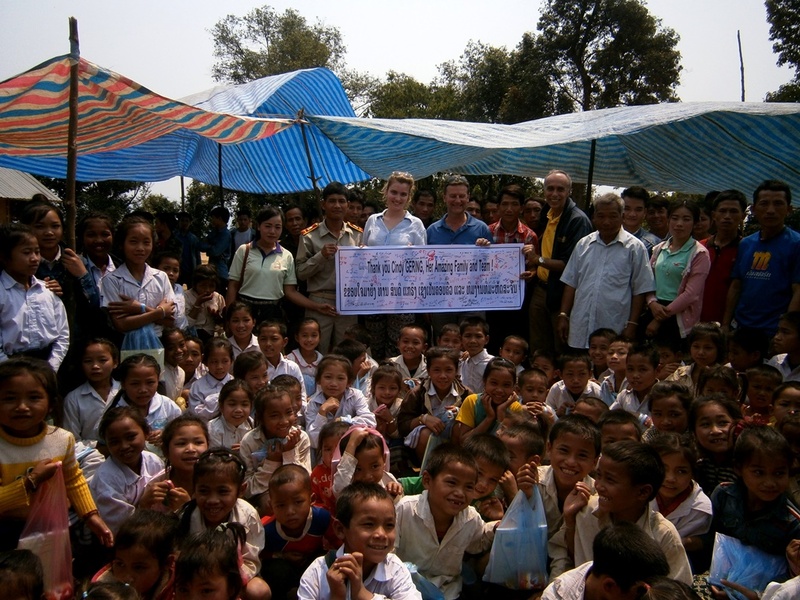 I hope that one or both sponsors will be able to join us for that time too, as they do come to Laos often. Our final dinner with Barbara…sure am sad to see her go. She has been such an inspiration to the kids (and to me too! Where on earth do you get all the energy!) From left to right: Siphan, Bounmy (Siphans brother), Barbara, Oudone (university student in his last year), Tanh (Oudone’s brother going to Finance College) and yours truly. To end our season, we had our last two groups of visitors arrive at the same time. 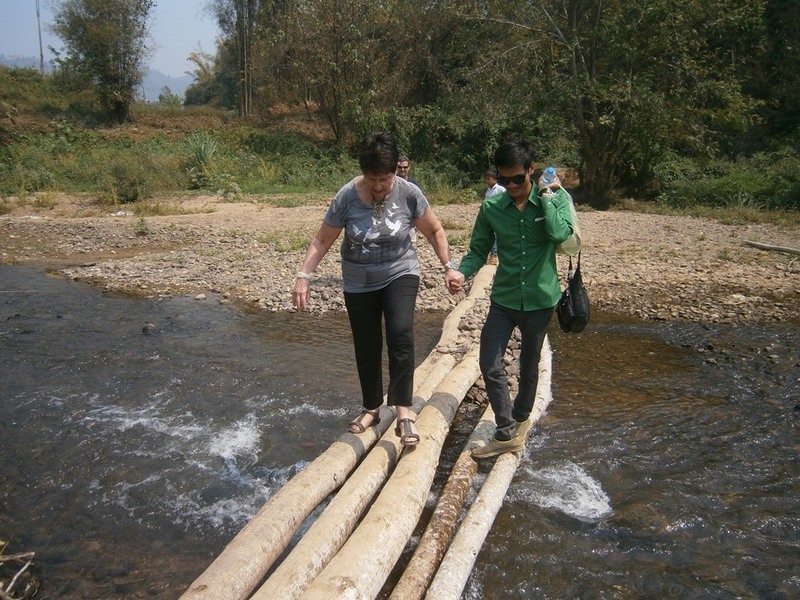 Rather than try to do both, I sent Siphan up north to Hatkham Village, past Nong Khiaw and by riverboat to review the status of a school we built a few years ago, now destined to be 75 feet underwater. 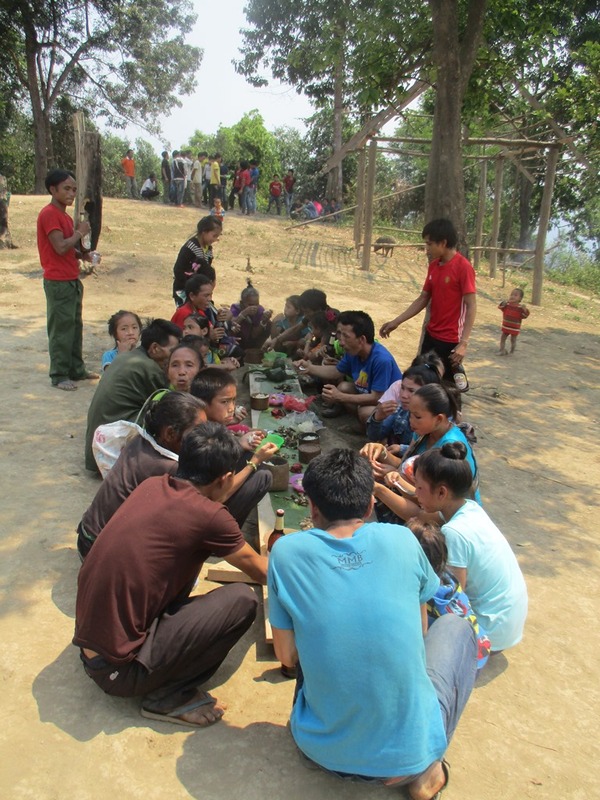 The school was primarily funded by Jai Lao Foundation, whose base is located just outside San Francisco. They had a pretty busy schedule but I was able to have dinner with them, just before they left. Meanwhile, three wonderful ladies from Calgary visited, Aline, Bonnie and Monica. 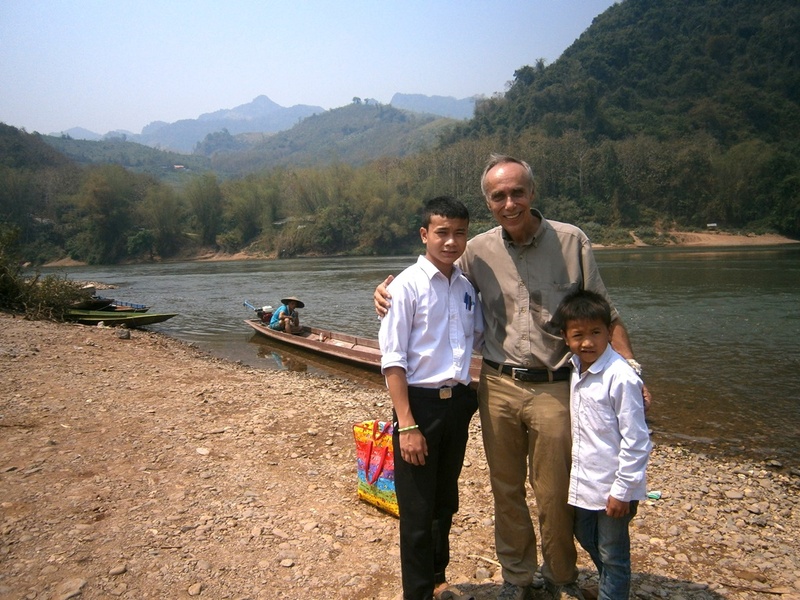 I invited Kevin along too since we were going to be going to a rural school outside of Luang Prabang to teach english and he was a master at it by now. As we crossed the river, there were a few screams every time the boat tilted 1 degree but it was a shallow river and the boat was navigated and propelled with a long stick pushing along the bottom of the river. I think the ladies enjoyed the excitement. They had brought hundreds of toothbrushes, sponsored by Brentwood Village Dental in Calgary and toothpaste plus the two biggest bags of candy I have ever seen! Beautiful kids and some big ones in the back. In the back from left: Oudone, Bounmy, Monica, Bonnie and Aline. I should note that Aline has been providing funds towards Oudone’s university course. It was an extremely hot day so fresh coconut juice was the ticket, followed by a great lunch with a freshly killed chicken, finger potatoes and other goodies.